on 21 August 2016 . LOS ANGELES (August 22, 2016) – AMD and Radiant Images have joined forces in a collaboration aimed at empowering virtual reality content creators with access to AMD’s Project Loom, a powerful new real-time video stitching technology. Building on the OpenVX computer vision accelerator which AMD open sourced earlier this year, Project Loom’s open source stitching engine provides content creators with an efficient, cost-effective method of finishing their VR content. 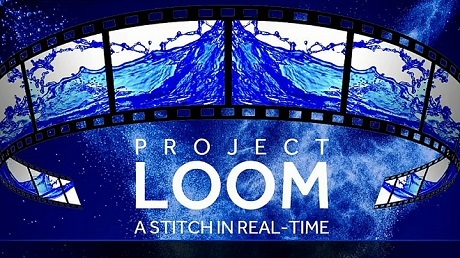 Project Loom can pull in up to 24 camera feeds at 1080p and 60 FPS, then stitch and output the resulting 360 video at 4K resolution and 30 FPS to VR headsets and mobile devices. Filmmakers are excited by the prospect of telling stories in cinematic VR, and Radiant Images, a LA-based digital cinema innovator and rental house, has been helping them since the emergence of this new medium by providing immensely capable and innovative camera systems. But for productions, a major challenge has been finding a cost-effective and efficient way to transform their captured footage into high-quality deliverables. There is a strong demand for an automated process to replace the labor-intensive stitching process that has dominated the market. As Hollywood’s most trusted source for VR capture technology and a preeminent supplier of 360 cameras to entertainment and film schools, Radiant Images is again positioned to be at the forefront of this emerging technology, this time to help get Project Loom and AMD’s industry leading GPU hardware into the hands of productions. The price-performance ratio of AMD professional graphics systems addresses the needs of productions to efficiently and quickly deliver their VR content. "We are excited for our new collaboration with AMD and the expanded possibilities and depth of solutions we can now offer to our content creators," said Michael Mansouri, Co-founder and VP of Radiant Images. “With AMD’s Project Loom, Radiant Images will now be able to offer a much higher cinematic visual experience in real time stitching. This will have a huge impact for content creators, enabling them to do on-location real time 360 VR stitching while reducing the time consuming and costly post production process." With the new collaboration, Radiant Images will be able to offer superior quality real-time stitching and create a much more dynamic cinematic experience for viewers who are used to a higher level of visual aesthetics than what they are used to seeing on television and in feature films, he said. “We are looking forward to offering these new solutions to our clients who need live streaming of VR and multi-cam capturing from virtually any camera system, without the need of massive computing power,” Mansouri added. Additionally, Radiant will teach, promote and endorse the use of AMD’s Project Loom stitching technology. Radiant technicians also will use Radeon™ and Radeon Pro GPUs in their workstations for their own use and the use of filmmakers and film schools. In addition, Radiant also announced that it will work with SuperSphereVR on the first real-world production using AMD’s Project Loom multi-cam real-time 360 stitching platform – an upcoming music event, Mansouri said. Radiant Images is an award-winning digital cinema innovator and rental house providing creative solutions in 2D, 3D, VR and augmented reality, leading-edge cameras and equipment, and unrivaled client support, to the motion picture industry worldwide. 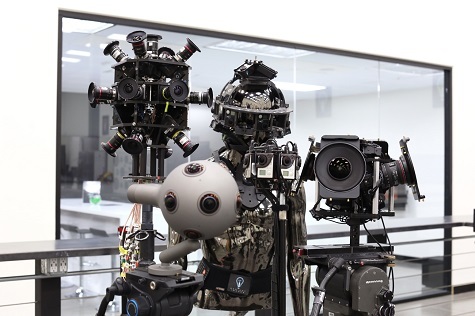 Radiant’s VR division also is recognized as an industry leader in testing and developing virtual reality and augmented reality technology, helping filmmakers and camera operators capture 360-degree content in a compelling way. The company utilizes an in-house engineering team and rapid prototype capabilities to provide filmmakers with the latest virtual reality tools and creative solutions. Radiant has a dedicated VR wing inside its new facility at 2702 Media Center Drive in northeast Los Angeles. For more information about Radiant Images, visit online at www.radiantimages.com and find the company on Facebook, Instagram and Twitter. For more than 45 years AMD has driven innovation in high-performance computing, graphics and visualization technologies ― the building blocks for gaming, immersive platforms, and the datacenter. Hundreds of millions of consumers, leading Fortune 500 businesses and cutting-edge scientific research facilities around the world rely on AMD technology daily to improve how they live, work and play. AMD employees around the world are focused on building great products that push the boundaries of what is possible. For more information about how AMD is enabling today and inspiring tomorrow, visit the AMD website, blog, and Facebook and Twitter pages. SuperSphereVR is a bi-coastal virtual reality creative lab. Specializing in VR content creation, SuperSphereVR shapes entertaining and immersive VR experiences with involvement ranging from pipeline consulting to full end-to-end VR production. SuperSphere works closely with clients to establish straightforward VR content production workflows with realistic budgets, timelines and deliverables. SuperSphere has delivered VR experiences for clients that include FOX, DirecTV, MLB, Samsung and Reebok among others. For more information, visit www.superspherevr.com.